Desktop ready laser fax delivering quick results whether faxing, printing, or copying. The FAXPHONE L100 is catered to the needs of your home or small office and consolidates a laser fax machine, laser printer and digital copier into one durable machine. The L100 sports a stylish redesign and incorporates the latest fax capabilities, including a 19 page per minute laser print engine and a brand new copier function. The L100 features a 30-sheet Automatic Document Feeder, 30 speed dials, Super G3 fax technology1, and large 512-page fax memory2. 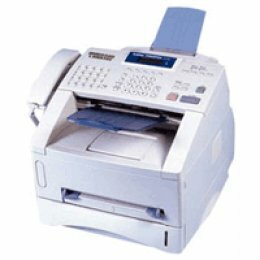 This machine is an ideal choice over single function fax machines and will be more cost effective as it functions in the place of three devices.